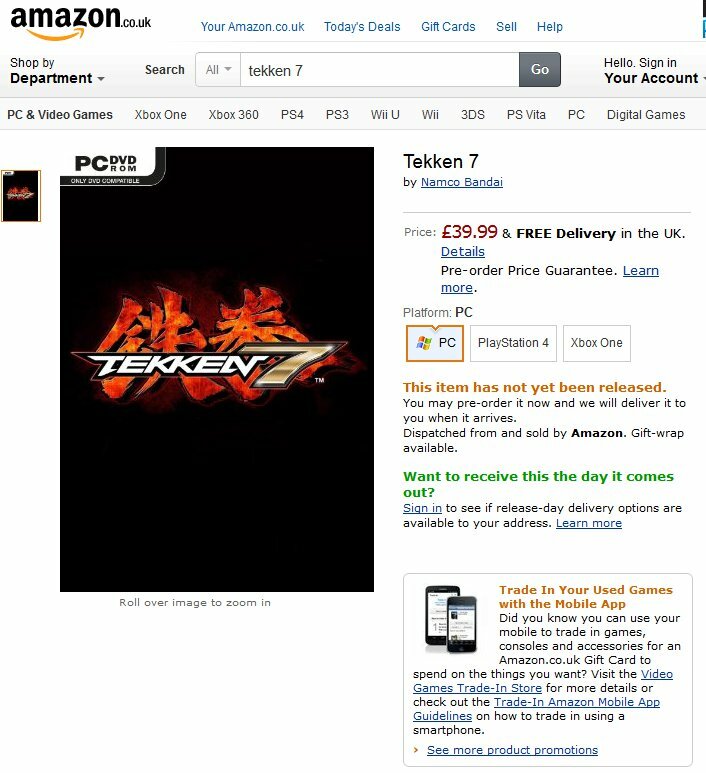 PC release for Tekken 7? Nice leak, Amazon! Hope it's true. Re: PC release for Tekken 7? Holy crap that would be soooo great! Coming soon in EVO 2015: Guy with PS1 controller faces off with guy with PC keyboard in Tekken 7, hehe. may 28 po pala release nito ihh.. Question, how will I be able to get DLC Eliza? Is it only available for pre-order?